Aloha from beautiful Maui, Hawaii! We’re back home after a wonderful trip to the Hawaiian island of Maui. It really is astonishing how quickly time flies when you’re having fun! Hopefully you had a chance to read our post about the Maui trip and you were able to follow the adventure on Twitter using the hashtag #seeMaui. In case you didn’t, head over to our facebook page now and check out some of the fun photos we snapped along the way. We joined a diverse group of travel bloggers and writers on a social media press trip hosted by the Maui Visitors & Convention Bureau. The other bloggers on the trip were Matt from Landlopers.com, Beth and Randy from BeersAndBeans.com, Jason from JasonsTravels.com, La Carmina from La Carmina.com and Alison Brick, a freelance travel writer. We’ve got lots and lots of stories, photos and video to share with you, so make sure you check back with us over the coming weeks to watch a flying Randy, a volcano bike riding Beth, a sailing Jason, a terrified Matt, a brief encounter with a curious tiger shark and some outstanding aerial views of Molokai and West Maui from a helicopter! Captain Sage guiding our traditional Hawaiian Sailing Canoe. Make sure you look him up if you find yourself in Wailea – good guy with lots of interesting stories! Private “Dinner Under the Stars” on Cameron’s birthday – well timed! Thoughtful birthday cake that was waiting for us upon arrival at the Sheraton Maui – lots of desserts and cakes were consumed on this trip! Palm trees, blue skies and sandy beach… and a hearse?! Zip-lining with Beth and Randy – big thanks to Kent and David with Skyline Eco Adventures for a fun (and knowledgeable) tour through the forest! Make sure you check back with us over the next couple weeks to read more about our Hawaiian adventures… Aloha! Haha I recognized that cinnamon bun before reading the caption, crazy! Where are you and D of to next? Thanks! We think so too… but we’re slightly biased! 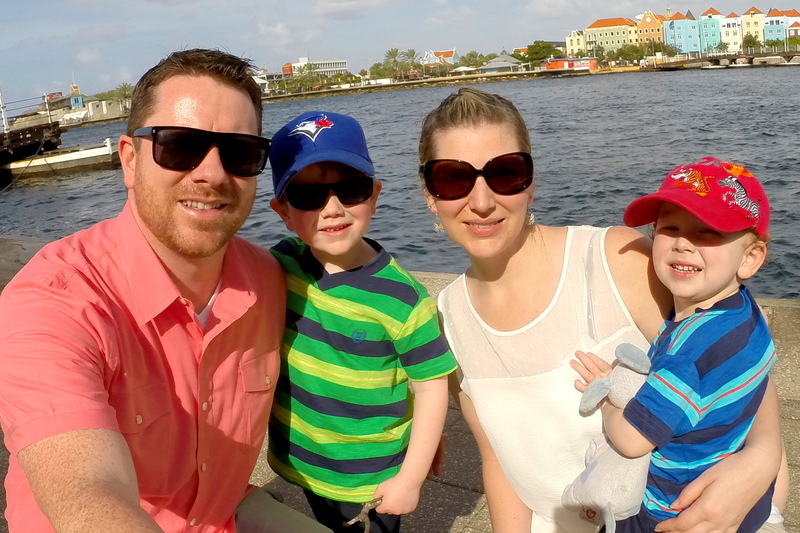 This looks like it was a fantastic trip with a great group of travel bloggers! You are making me hungry with those food photos. I’m bummed we didn’t get to meet on this trip, but at least Scott and I still get to enjoy Maui this year. I can’t wait for our trip! You’re going to have a great time! Will you be hosted by MVB? I was just commenting on Ayngelina’s blog that Maui is truly magical. We always thought the “Aloha Spirit” was a marketing gimmick until we actually made it to Hawai’i and realized it is a very real thing. There’s certainly something special about Maui. I’ve been having a hard time putting my finger on it, but we definitely felt the Aloha Spirit! Not that there was ever any doubt, but damn do I look good – rock star good! 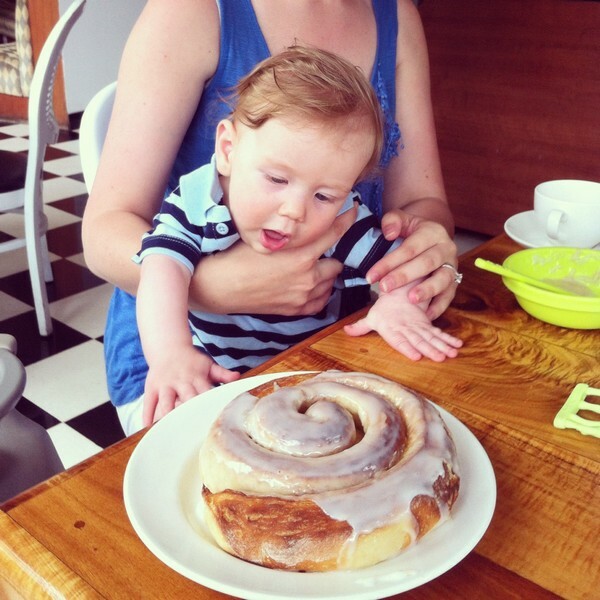 Lots of great photos but I love the ones of Baby B in his floating raft and eyeing up that cinnamon bun! LOVING these photos! Some made me squeal aloud. 🙂 And how jealous I am (besides the fact that you’re rockin’ out an amazing place in Maui) that you get to hang out with such great people! Maui’s great, a bit expensive, but still great. It looks as if you guys had a wonderful trip. Agreed – it’s certainly more expensive than a trip to SE Asia! I feel so relaxed just looking at all these gorgeous photos! Maui was heavenly when we were there…especially the food. 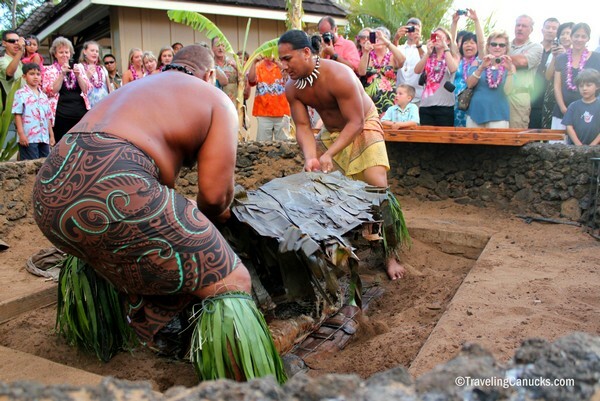 Agreed – we took full advantage of the wonderful food and restaurants in Maui. 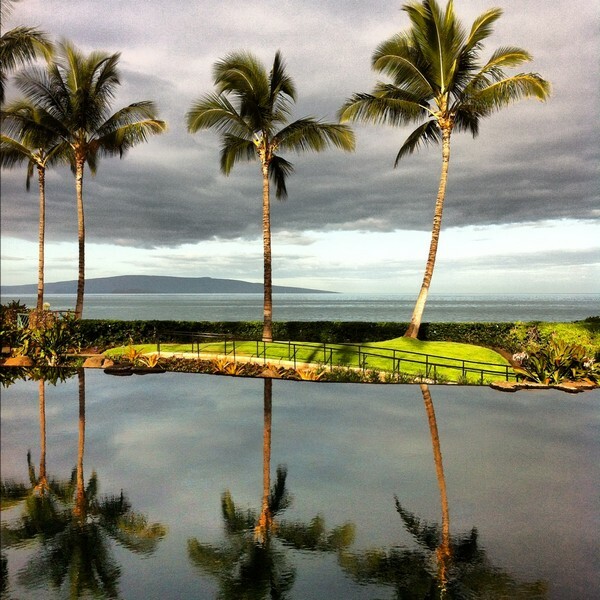 Love that photo of the palm trees reflecting in the pool. Looks like you guys had a lot of fun. How are things in South America? Ahh, the memories! Couldn’t agree more about the “Aloha Spirit.” I also always thought it was more of a marketing catch phrase, but it’s definitely not. The vibe that emanates from the good folks of Maui is really something special. Indeed! It was fun hanging out with you guys in Maui. Hopefully our paths will cross again soon! Looks like a great place for a family get-away. I’ve only been to Oahu, but would love to go to Maui. It really is a great place for a family vacation. 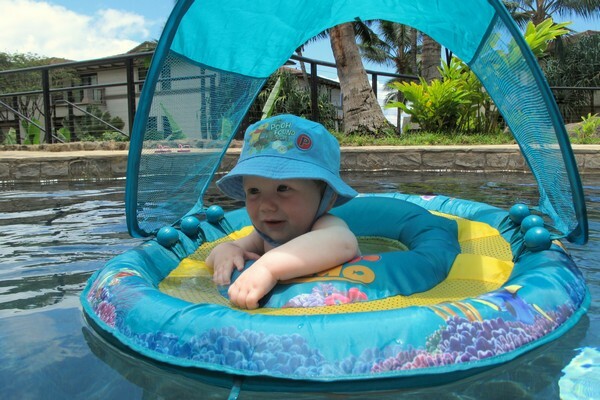 There’s something for everyone, and most places are well suited to handle little ones. Loving all the Hawaiian stories! The islands are much more than big resorts and surfing. There’s such a fascinating culture there!! You have an awesome travel in Maui.